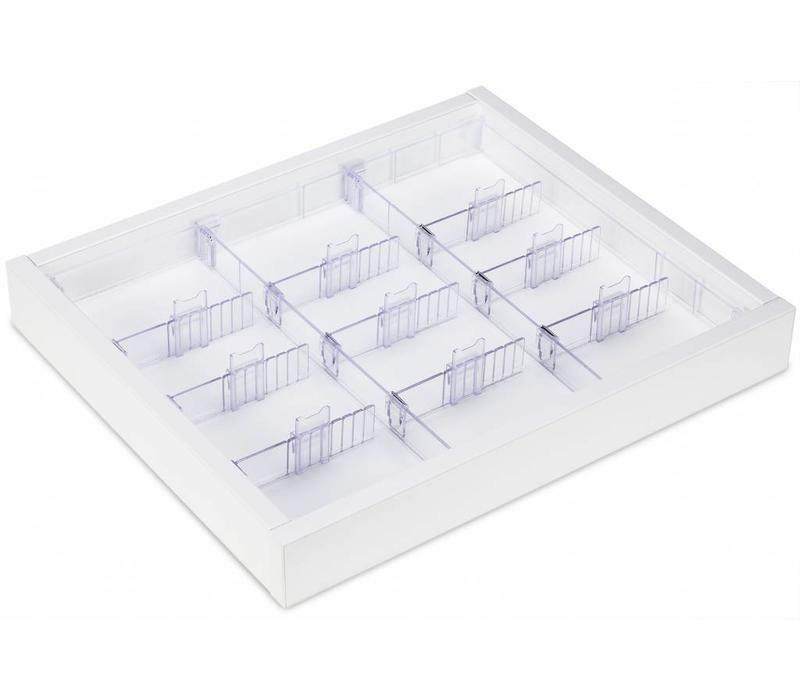 Completely removable drawer insert of plexiglass in height 35mm. 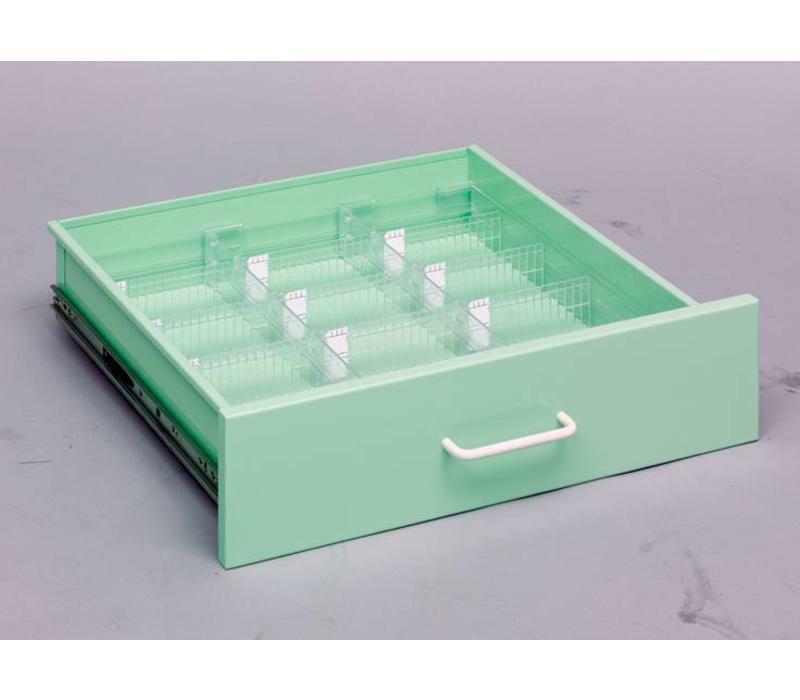 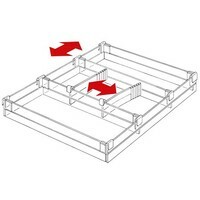 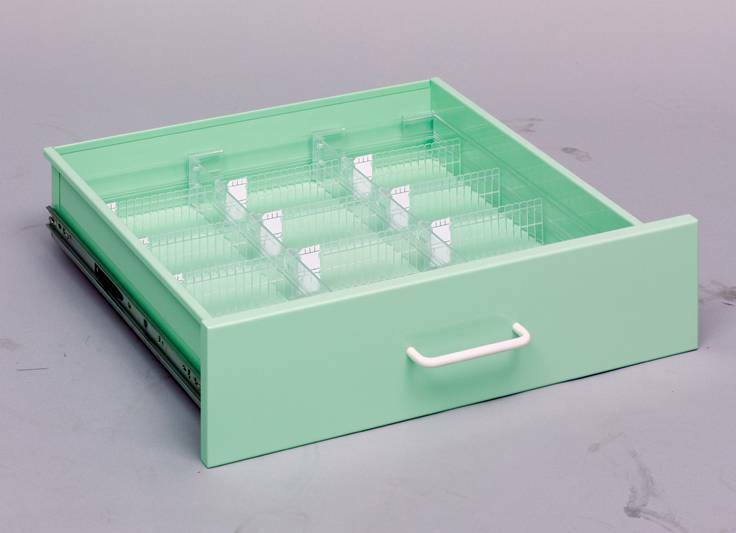 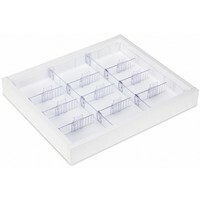 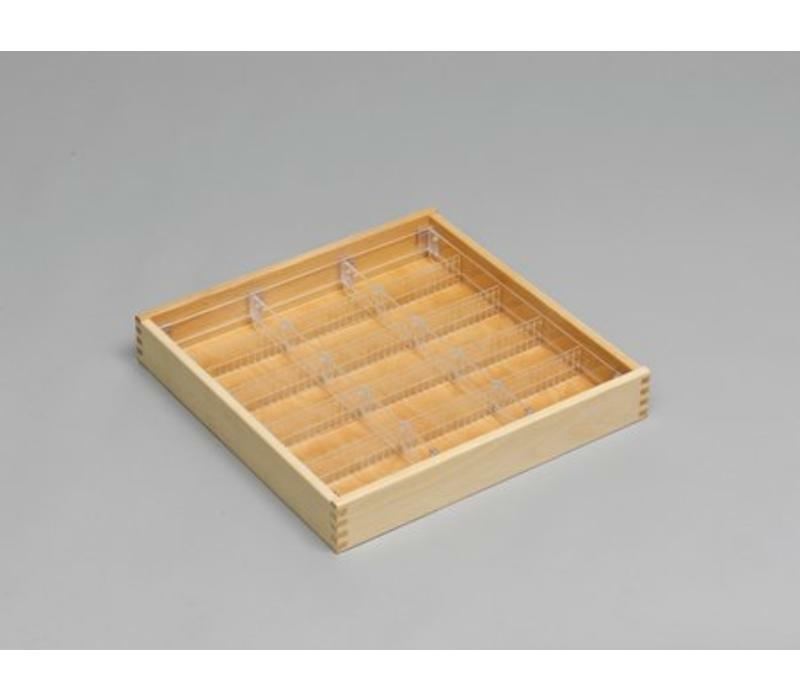 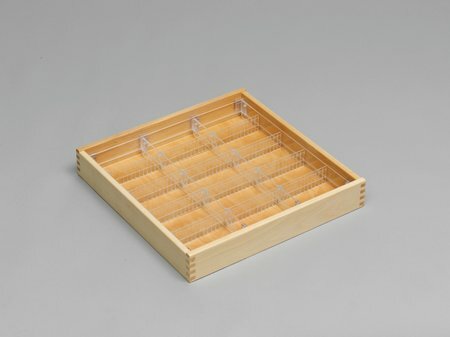 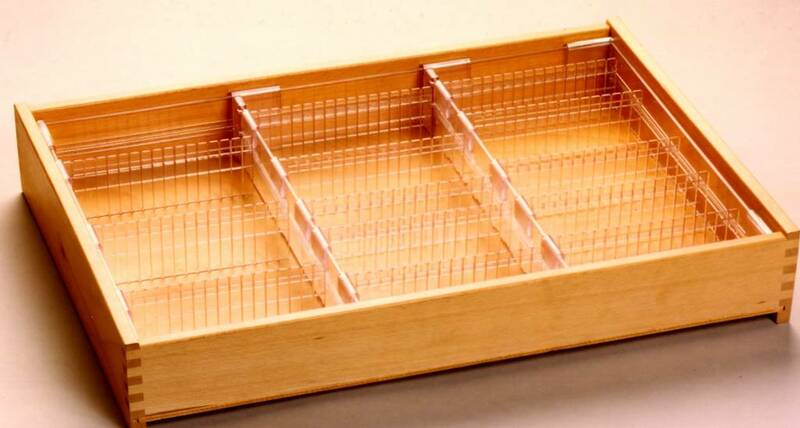 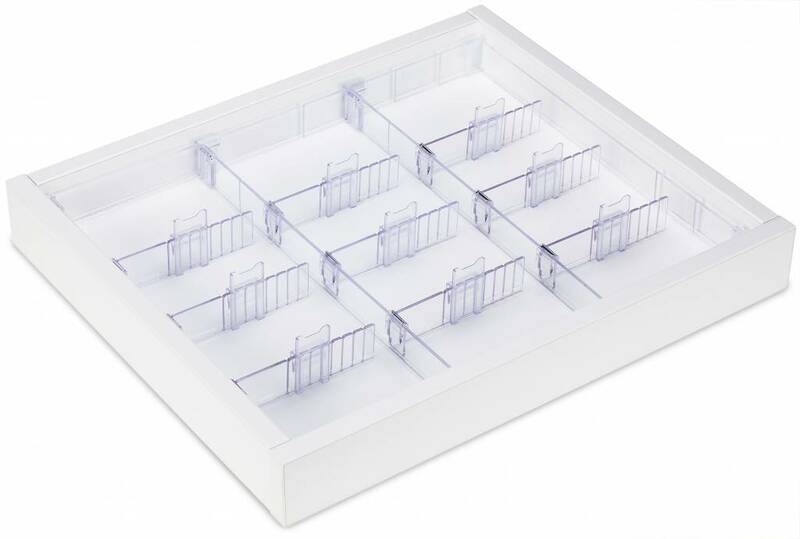 This drawer insert is divided standard with 3 lanes and 9 cross-dividers. 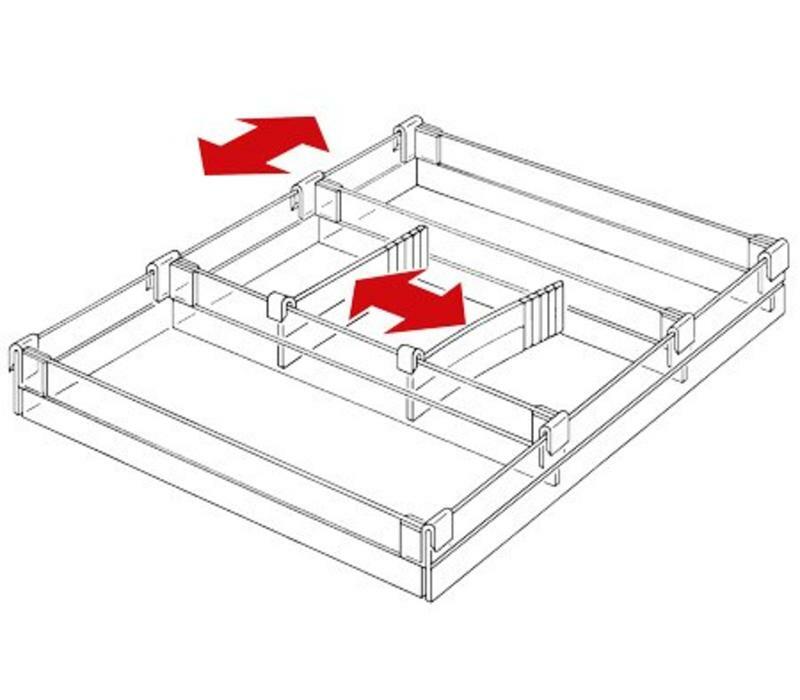 this way you can create 12 separate courses. 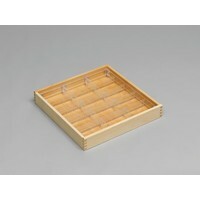 When ordering, specify the exact inside depth and inside width of the drawer! 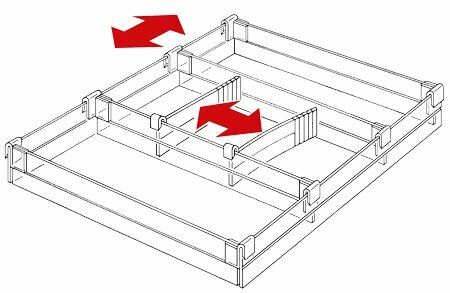 A standard layout is maximum 550mm wide and 550mm deep. 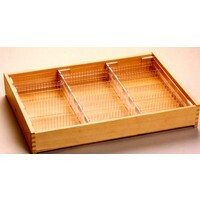 For larger drawer divisions, please contact us.